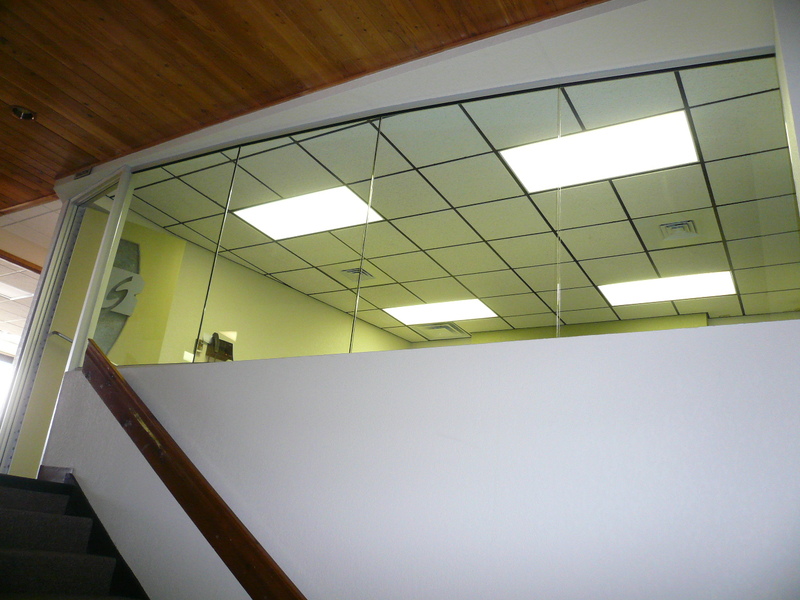 RESPEC Consulting and Services took steps toward significant building improvements in 2011, beginning with the interior remodeling of two conference rooms and an open-office work area. 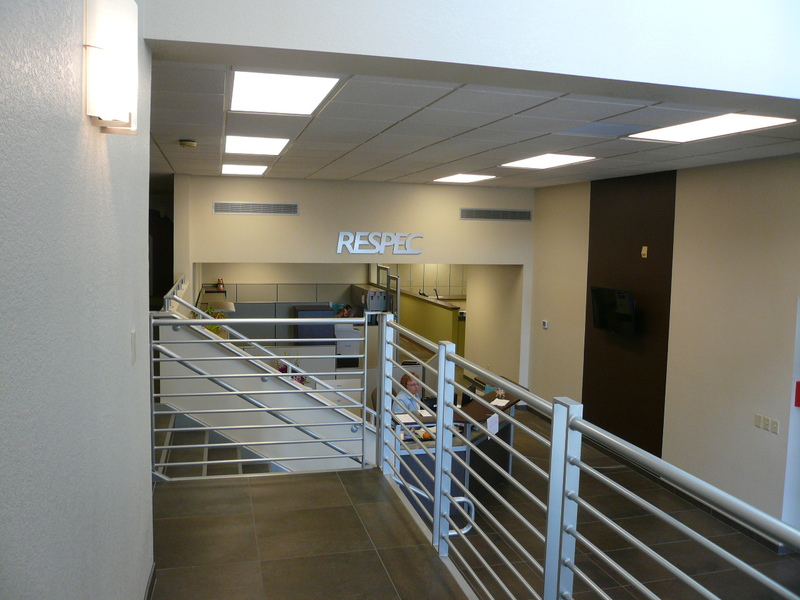 Due to the success of the first phase of remodeling, RESPEC turned to Rangel Construction in 2012 to lead a design-build effort for comprehensive renovating, remodeling, a new elevator/front lobby addition, and mechanical system replacements for its 30,000+ square foot facility. 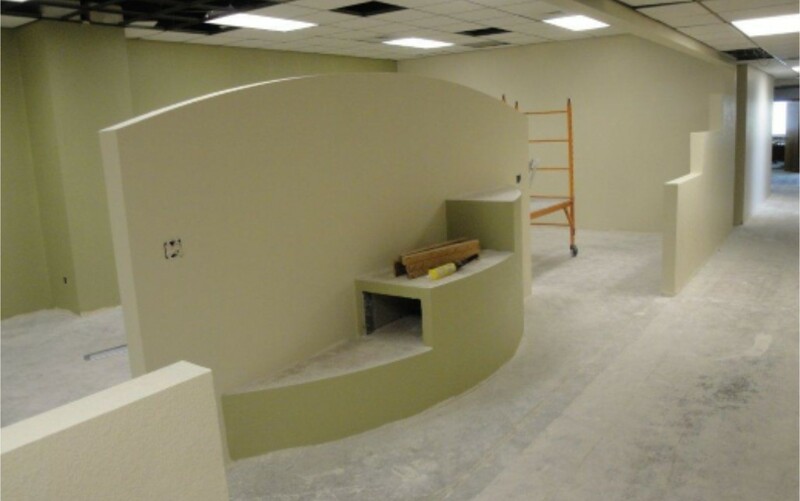 RESPEC clearly communicated its desire for Rangel Construction to lead and manage the design effort, provide updated cost estimating throughout the design process, and develop a work phasing plan to help minimize interruption to the engineering firm’s day-to-day business. 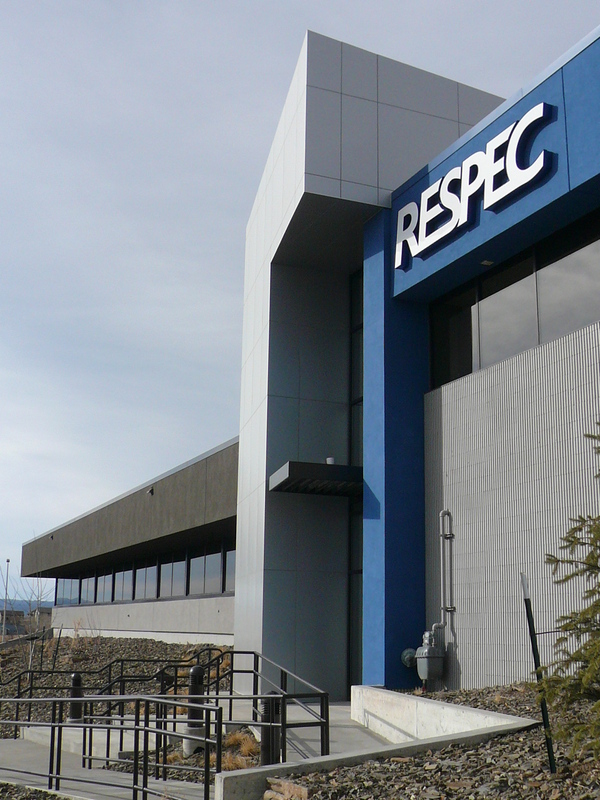 The RESPEC building front addition is a combination of masonry, heavy gage metal framing, and structural steel, resting upon a grade-beam/pier foundation system. 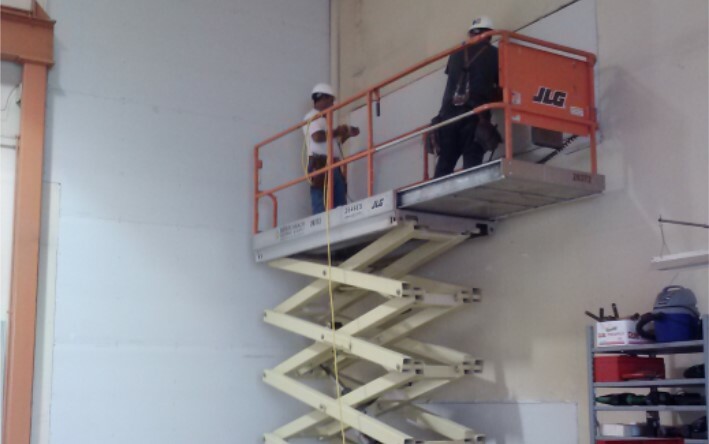 The new and updated exterior building surfaces and systems include EIFS, metal wall panels, aluminum-framed storefront, decorative metals, and insulated membrane roofing. 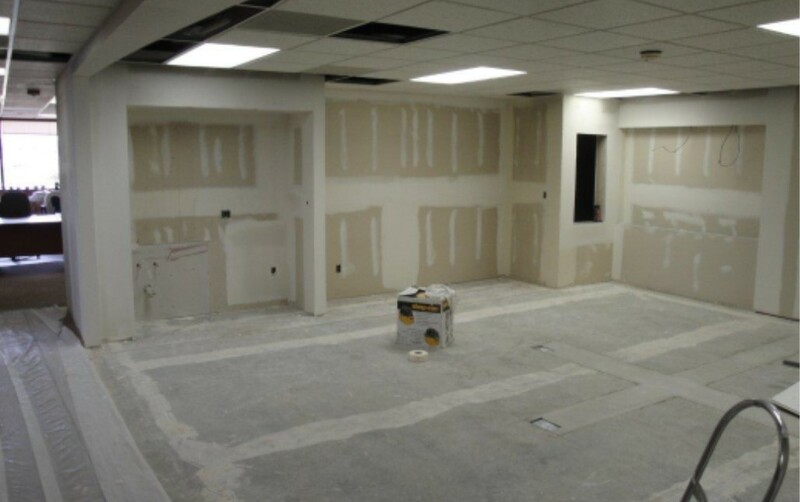 Remodeled interior finishes include custom cabinetry and countertops, resin panels, custom doors, carpet tiles, porcelain tile, glass walls, and painted surfaces. 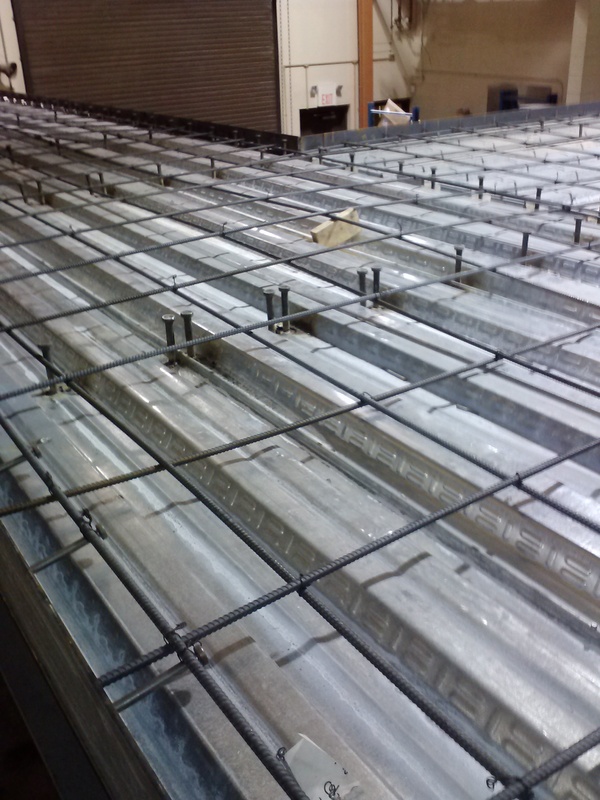 An elevated steel/concrete mezzanine was also constructed to provide increased storage space within a shop/warehouse area. 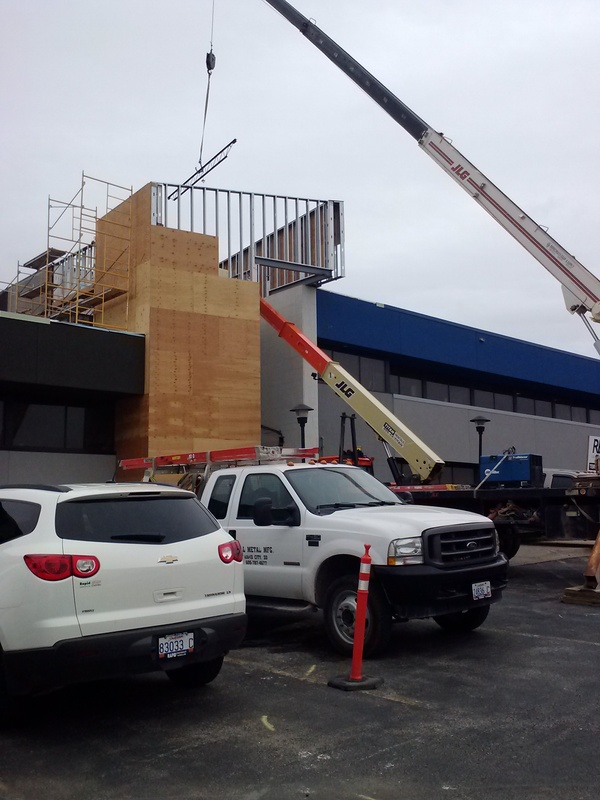 The new mechanical system includes a new cooling tower, chemical-free water treatment system, and new unit heat pumps. 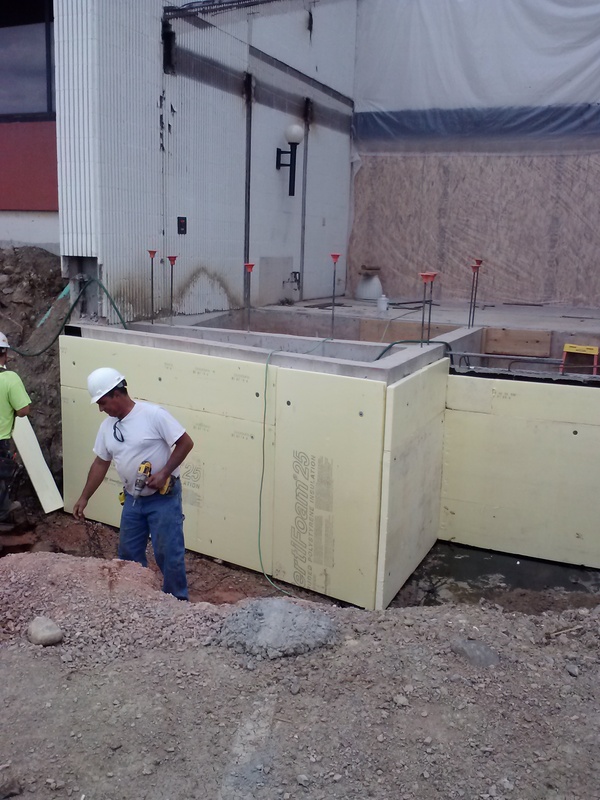 Exterior improvements include new landscaping, new exterior lighting, and a concrete stair/ramp structure at the front entry.